If there was only one word to describe the experience of buying or selling a home with the Dave Janis team and Coldwell Banker, it would be "adaptability." Like your real estate needs, you are unique, and deserve a unique approach. Our team believes that the only way to deliver the best possible client service is to cater to YOU - your real estate goals, your financial needs, your personality, your preferences. At the Dave Janis team, our clients come first, always. Combining our client-centered approach with years of industry expertise and exceptional local knowledge, our team creates a complete real estate experience that is unmatched in professionalism, skilled negotiations, and most importantly, results! Dave Janis consistently helps over 50 clients meet their real estate goals each year, ranking in the top 100 agents in Colorado, and the top 1% of agents nationwide. No matter where you are in your real estate journey, we have a plan and a solution for you and your unique situation! 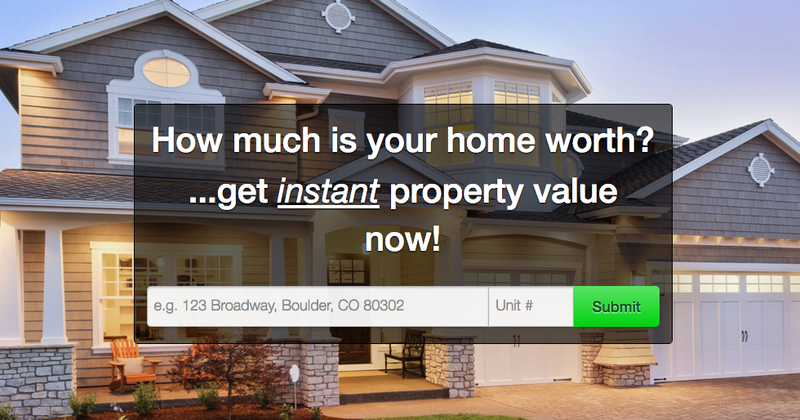 - Assistance buying and selling commercial and residential properties in Boulder, Louisville, Lafayette, Erie, Superior, Niwot, Longmont, Frederick, Firestone, Johnstown, Broomfield, Westminster Arvada, Golden, Lakewood, Denver, Northglenn, Thornton, Brighton, Nederland, Black Hawk, and more! - Vacant land sales, acreage, new construction, and custom home builds. - Probate and estate sales. - Investment property specialists including fixer-uppers, sell for cash, owner carry, and rent to own. - Mountain land and home sales. - Multi-family sales including duplexes, triplexes, fourplexes, and condo complexes. Ready to take the first step on your real estate journey? Call us today at 303-442-5001! Newly formed office and retail condos. Newly formed office and retail condo community. Dave Janis is the go-to choice for Boulder and Denver area real estate services, with over 60 sales in the last 12 months. Dave ranks in the top 1% of Realtors nationwide, the top 100 agents in Colorado, and the top 5 agents in Coldwell Banker Colorado. With Definitely Dave, there is a difference. Dave's proactive and aggressive marketing plan is a proven system for getting your home SOLD, and his fully trained staff provides a superior and unmatched customer service experience. When a client hires Definitely Dave, they aren't just hiring one agent, they are hiring a highly qualified and exceptionally talented TEAM! We had a very rocky journey when selling our mountain property outside of Denver for a multitude of reasons. First of all, there was the weather. Then random problems with the property itself. Then issues with contractors, dishonest negotiators, etc. Basically everything that could've gone wrong went wrong. Dave and Amanda, however, were constant throughout the process and never once varied the level of service they were willing to provide. Quite to the contrary, they consistently did more than was required of them as seller's agents and repeatedly surprised me by the level of care and dedication they showed by going above and beyond at every bend in the road. I can say with 100% certainty that we would not have sold the house at the price and within the timeframe we did. We were out of state during the entire process, so I can rather confidently say we likely wouldn't have been able to sell at all without their willingness to take the driver's seat and roll up their sleeves on the ground. 5 stars all around. Dave Janis sold our home before the sign was in the ground or it seemed that fast. Dave was very helpful throughout the negotiations and the closing. I would HIGHLY recommend Dave to help you sell your home or help you purchase another. All we can do is speak from experience...so here was ours. In the spring of 2014, when we decided to hire a Realtor to sell our house we wanted to hire the best. So we did a little research on who was doing the best in our area and Dave Janis's name came up. We had a couple of initial meetings where he gained our trust and confidence and ultimately he earned our business. He and his team, particularly Amanda, were in awesome communication with us every step of the way. They were easy to work with and demonstrated the highest level of professionalism throughout the entire process. His advice and guidance was beyond any experience we've ever had working with a real estate agent in the past. Bottom line - from the day we hired Dave to the closing on the sale of our house was exactly 9 weeks! We couldn't have been more thrilled. We could recommend Dave Janis and his team to anyone and will certainly hire him again. Thanks Dave! Dave is an amazing professional. Throughout my house sale, he was insightful, knowledgeable, and willing to offer an informed opinion when asked. He was very thorough in everything he did, very informative throughout the process and always friendly and never pushy. He was a terrific negotiator and always available for a consult. I'd recommend him to anyone as a valued ally in the real estate market. Dave and his staff were wonderful and super flexible in helping us sell our downtown Boulder condo in March 2015. He made the whole experience as smooth and stress free as possible, and he worked with me to get me exactly the services I needed at a fair price. I would recommend Dave to anyone without reservations. Totally professional operation. Definitely Dave Janis sold my home in fall 2014. I had come to the situation from very trying and stressful circumstances. I needed someone who could pick me up where things were and guide me through to a successful outcome. Dave was the perfect person to do exactly that. He's good! I immediately liked and trusted Dave - both personally and professionally. He and Amanda are a great team. I absolutely refer him to my friends and anyone who is looking to buy or sell a home. I interviewed several agents after a disastrous first go-round with another agent. What a refreshing change it was to work with Dave and Amanda! They actively marketed my home, kept me apprised of the local real estate market, and recommended changes to get my property sold. Upon receipt and acceptance of an offer, Dave and Amanda kept me apprised of the process every step of the way, and patiently listened to my concerns when the buyer's mortgage lender made a few mis-steps. I'll work with this team again, and heartily recommend them! Was a very pleasant experience. Dave Janis's company, especially Amanda Nieser, were very helpful. They got me more than I was expecting for the property and arranged all the work that needed to be done because I was out of state. I had renters occupying the unit and they went above and beyond to accommodate the tenants while selling the home. They answered all questions and concerns with a professional understanding of my individual needs. My husband and I had previously listed our home with another agent that had us overpriced, after 3 months we took our home off the market. Shortly after that, Dave contacted my husband to set up a meeting. From the beginning, Dave has done what he said when he said he would. The photographs of our house were amazing. In less than 3 weeks we were under contract to sell. I highly recommend Dave Janis. It was December 3rd, 2014 when we had our house removed from the MLS due to our previous realtor having a lack of tenacity and interest in selling our home. That same morning I got a call from Dave. He was very motivated and confident that he could sell our house. Dave and his team were very knowledgable and responsive in handling the house sale. Dave sold our house in 10 days. I have recommended Dave's services to friends and family. We definitely plan on calling him in the future as well. We were new to the Denver area but knew the area we wanted to live in. Dave came highly recommended to us by a colleague. Dave and his colleague Amanda were the most responsive, knowledgeable real estate folks we have ever worked with. Our many questions were answered directly and the entire process was extremely easy. I highly recommend Dave and Amanda with any of your property needs. I had used another agent to try to get the property sold but they only brought me one offer that went no where and was well below my asking price. Then I asked Dave to sell the property. He did things the other agent would not that made a difference in getting the property sold. Dave went above and beyond with professional photos, listings in all major real estate websites, and his suite of technology kept me informed about what was going on with the market and my property. My email and phone calls where always answered in a timely fashion. I felt he listened to what I wanted and advised me on what to expect based on his knowledge of the market. The property sold in three days. I worked with Dave to prepare and sell my brother's condo in Boulder. He was very attentive to my needs and very professional in his efforts. His assistant, Amanda, is amazing. Both were very responsive to any of my inquiries. Their work resulted in a quick sale at above the asking price! I would highly recommend Dave! We recently worked with Dave as buyer's agent on the purchase of a home in Longmont. Dave was recommended by a friend and we were very pleased with his service. As out of town buyers, Dave was extremely helpful in price negotiations, doing the final walk through, helping to organize home inspection, financing and represented us at closing. The whole experience from identifying potential properties, prescreening them for us and arranging showings to maximizing our time in Colorado was excellent. Dave is a solid professional who has earned our trust representing us in two different real estate transactions in Louisville. He knows the Boulder area well and was invaluable in making sure we had the information to make the best decision for us. He's also friendly, prompt in responding to questions, and a good communicator--in short, a pleasure to do business with. I recommend him without hesitation. You'll be in good hands with Dave! We could not have purchased the property we did without Dave Janis! We were waiting for a local builder to release new lots and we were living out-of-state at the time. Dave did all the leg-work. He attended the grand opening, transmitted all the floor plans, and got the builder to answer all our questions. He even was able to get our sales appointment with the builder moved up when bad weather canceled the local in-person sales appointment. Dave made it happen and was a pleasure to work with. Don’t hesitate to put your trust in Dave.